Starting this week and coinciding with the first ‘Super Saturday’, ESC Insight brings you our form guide for the national selection process. We will tell you when and where to follow the competitions live and online, who will be competing for each country, and most importantly, who we think best stands to win the coveted prize to represent their nation in Dusseldorf and why! France decides their singer and song, Melodifestivalen is under way, Jedward cause problems for RTE in Ireland and Italy look to San Remo for their first Eurovision entry of the 21st century. All that and more in the weekly news podcast. Unashamedly a work of love by Eurovision fans for Eurovision fans, Euroband’s 2008 album “This is My Life” isn’t going to win any Grammy awards, but it’s full of energy an enthusiasm for the Song Contest. And the maddest cover of Bucks Fizz so far. This weekend over one hundred million fans will sit down in front of their TV’s, food at the ready, a party atmosphere in the air, and all to watch a stadium based show, from a single city, that gets beamed around the world. It could be the Superbowl (106 million viewers) or Eurovision (125 million viewers), but for those competing, they both are the pinnacle of their careers. The choice facing the judges today are Germany 1982, The Netherlands 1957, Finland 2006 or Ireland 1994. Who will Paul Jordan and Steven Newby send through? It’s Melodifestivalen time! Let’s get the party started! The Swedish national finals for Eurovision, Melodifestivalen, demands almost as much attention as the Song Contest itself. 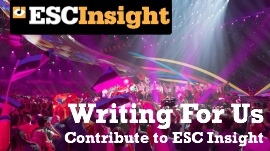 With this year’s contest starting on Saturday, ESC Insight gets the party started with a selection of some classics from the past three years!